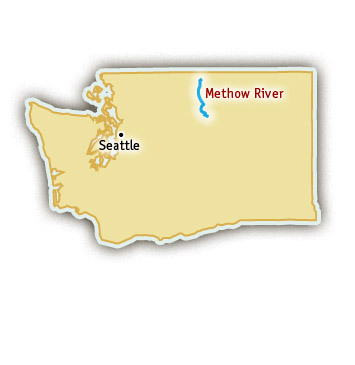 A tributary to the mighty Columbia River, the Methow River is a classic Washington river rafting trip located in the stunning Methow Valley in eastern Washington. The eastern part of Washington state is a popular location for river rafting because it is typically sunny and dry in the spring and summer. Black Canyon is the best whitewater rafting section of the Methow River with dozens of great Class II-IV rapids and dazzling scenery. 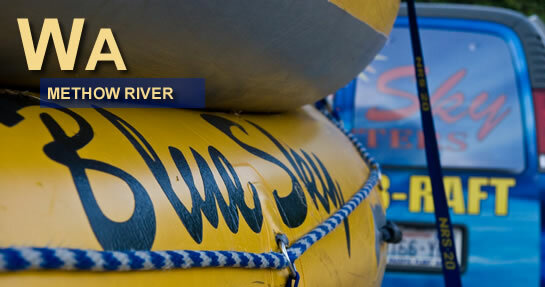 Visit their website for more information about Methow River Rafting. The Methow River seems to have been designed for rafting trips. Dropping over 500 feet in 19 miles, there is plenty of whitewater to be paddled on the Methow River. The rapids at the beginning of the trip are Class II and straightforward, allowing time for paddle crews to get to know each other and learn how to raft together as a team. As the rafts descend into the Black Canyon gorge, the river picks up speed and the rapids become bigger, bouncier, and better! All of the Class III and IV rapids on the Methow River are perfectly spaced with beautiful pools between to regroup and get ready for the next big moves. 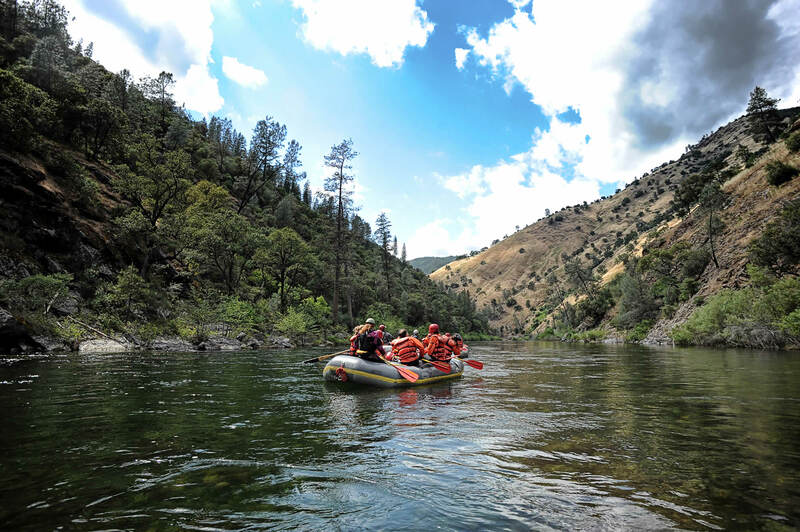 Black Canyon Rapids are sure to thrill and challenge even experienced rafters, and they are followed by a series of Class III and IV whitewater rapids including Staircase, Shoshone, Hurricane, Roadside Attraction, Little Niagra and many more. While the whitewater is what brings folks rafting on the Methow River, the scenery is equally as notable and is often a great surprise for first-time visitors to the area. Rafting trips on the Methow River are quite literally, a change in scenery. As rafters descend through the Methow River canyon, the landscape changes from thick Ponderosa Pine forests, to basalt cliffs, to high desert. Each and every type of ecosystem along the Methow River is beautiful and adds an incredible backdrop to the clear water and exciting rapids. Diverse and abundant wildlife can be seen along the banks of the Methow River. Deer come to the water’s edge to graze and rarely seem bothered by rafters floating by. Eagles, osprey, and hawks soar overhead looking for their afternoon snack while beavers and otters are sometimes seen swimming and playing at the water’s edge. While it is raining in the rest of the Pacific Northwest during the springtime months, the eastern side of the Cascades where the Methow River flows is typically warm and dry, the perfect climate for a splashy whitewater rafting adventure. The Methow River is a spring and early summer run, depending mostly on snowmelt to fill its banks.